The best way to learn and improve on a skill is to practise, practise, practise! Help your child on her path to becoming a subtraction master with this subtraction worksheet. For each problem, your child will rewrite the subtraction equation so the larger number is on top, then find the difference. As she completes the worksheet, your child will practise solving 2-digit subtraction problems and writing equations. For more subtraction problems, see the other worksheets in Our Writing Subtraction Equations series. 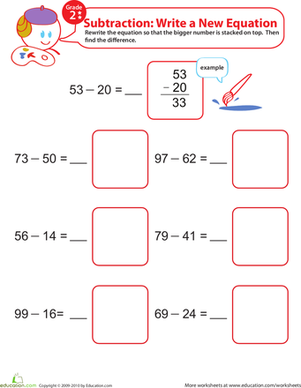 This printable page of subtraction problems will give your second grader invaluable two-digit subtraction practise and a familiarity with writing equations. 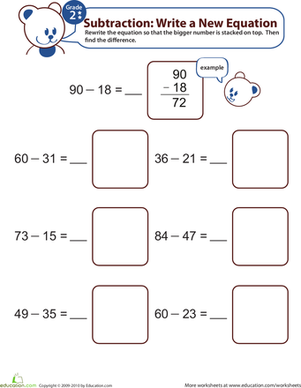 Help your kid perfect his subtraction skills with this maths worksheet. 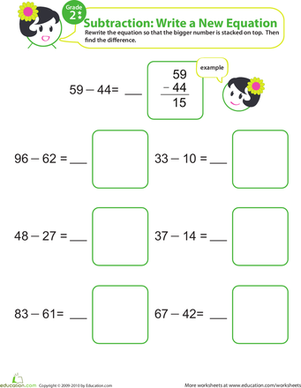 Your kid will get subtraction practise and learn to express equations in different ways. 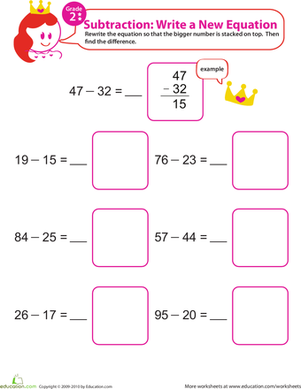 Your child will practise solving problems and writing equations too! Artist needs to solve a set of subtraction problems, but he has trouble understanding these equations as they are written. Will your child give him a hand? 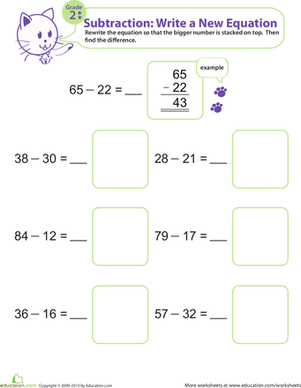 Provide your second grader with a healthy subtraction boost with this kitten-adorned worksheet. She will be practising subtraction in no time! 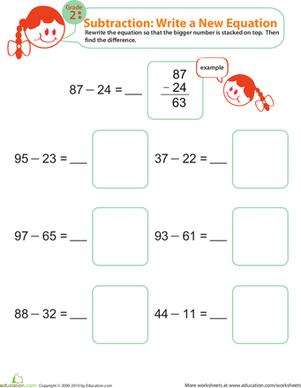 Give your kid a boost in maths with this fun subtraction worksheet. For each problem, your kid will rewrite the equation a different way and find the difference. 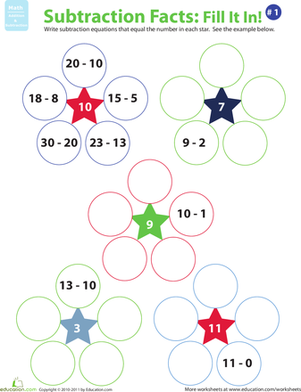 Turn the tables on your second grader's subtraction practise by asking them to do the reverse of most worksheets: come up with their own equations! 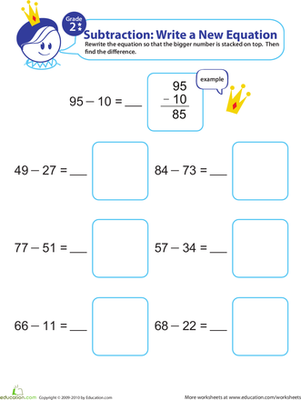 Help your second grader regain her mathematical confidence by providing her with this two-digit subtraction worksheet. Two-digit subtraction can be the bane of a second grader's existence. Encourage your child to do some extra practise at home with this adorable printable. 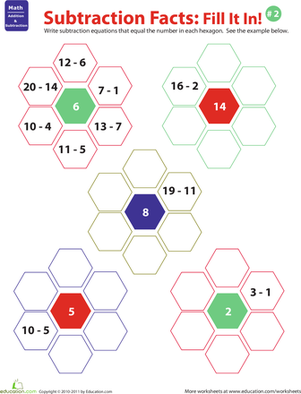 Help your student learn the relationship between addition and subtraction. He'll practise finding the inverse equations of addition problems.